With the warmer weather upon us, and the holiday season rapidly approaching, it’s important to take particular care of your lawn and garden. If you go away on holiday, your lawn and garden stay right at home and it needs to be very high on your priority list of Things to Arrange before I Go. Unkept gardens shout out to all and sundry that you have gone away, and become a beacon to would-be burglars. And this situation is particularly dangerous when you go away for more than a couple of weeks. So what can you do? Not everyone has family, friends or neighbours who can take responsibility for an empty nest. Besides, most people are away themselves anyway. So what’s the solution? Simple – contact the Grey Army. Here are some of things the Grey Army can easily and professionally do for you and your property. There is no price which can equate to peace of mind. You’re enjoying a cuppa with your caravan parked beside a tranquil river a long way from home and you can relax and enjoy your trip knowing the Grey Army is taking care of your property. As well, with no-one to look after your garden you risk losing something precious. One of the sad things about losing a plant is that in most cases you could have prevented this from happening. Prevention is most definitely better than cure. It only needs a few days of extreme heat or days with a drying northerly wind and your lawn and plants can take a beating. Don’t let this happen to you. The holiday solution is simple. People who go on holiday trust the Grey Army to keep their property in tip top shape. 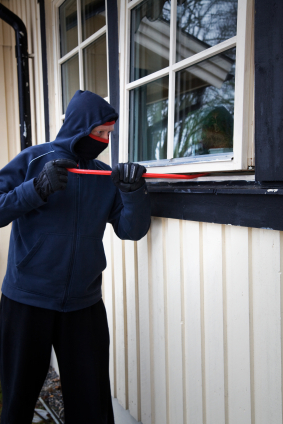 Keep your place both secure and alive during summer thanks to the Grey Army.